Plump triangular leaves stacked upon semi-erect stems up to 4 inches high. The edges of the mint-green leaves turn red in sunny locations. It is topped by clusters of tiny white flowers in spring. 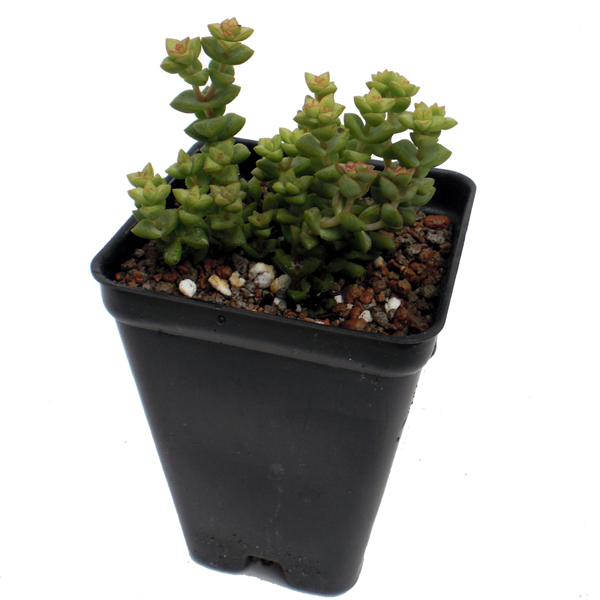 Great for windowsill culture or rock gardens.